Travel programs that include online booking tools have repeatedly proven to deliver stronger travel policy compliance among business travelers, which can also provide significant savings to your business travel costs. An online booking tool will not only enhance travel program compliance and efficiency, but also make a road warrior's life a little easier. 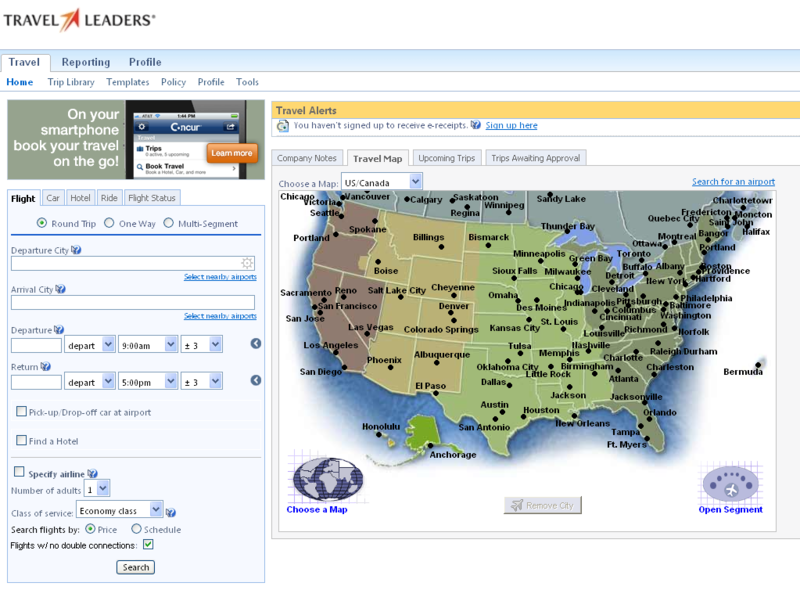 Travel Leaders supports multiple online booking tools because every client is different. We'll work with you to select a solution which meets your company's goals and needs. After all, it's your company's business travel program, not ours. Travel Leaders Business Travel Management service's technology team members are more than just implementation specialists. We will take it a step further and design a custom deployment strategy to help your company achieve maximum online adoption -- which will drive significant savings on your overall travel spend. Our team members are certified experts with the experience of dealing with online booking technology. They will be your direct resource for site navigation, troubleshooting and user access. Rather than a nameless support person in some far away call center environment, Travel Leaders Business Travel Management service's technology team members will become an extended part of your team. You will know them on a first name basis as they work with you to support your business travelers and encourage online adoption. Travelers today expect the ability to book and purchase travel reservations at any time of the day or night, including weekends. Travel Leaders offers a technology platform which does exactly that - allowing your business travelers to book their travel when they have the time, while your company remains in control of the outcome. Automated bookings can be processed 24-hours a day with the satisfaction that Travel Leaders technology is ensuring policy compliance before booking; constantly checking for lower fares on booked travel; and verifying that the traveler's preferences are included in the booking -- including seating and frequent flyer program verification. Your business travelers will not have to wait for a live person to intercept and process an online booking. Here is a quick modeling tool to help you understand the potential savings you can realize through an aggressive deployment of an online booking tool. With annualized travel budget information, this model will demonstrate the savings potential based on a number of adoption scenarios.